BOSTON, Mass. – A Cinderella run from the Franklin Panthers ended with a true storybook ending. 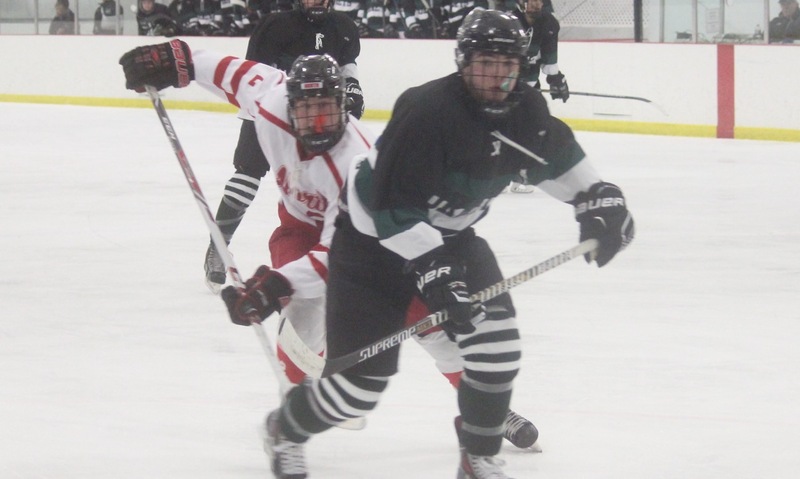 Sophomore Luke Downie, who celebrated his 16th birthday on Sunday, scored on a wrist shot six minutes into the second overtime to give Franklin a 4-3 win over St. Mary’s Lynn and the program its first MIAA Division 1 State Championship. Senior Tyler Oakes connected on a pass from his own zone to senior and Jake Downie (Luke’s cousin) along the boards in the neutral, who then dropped the puck back to Luke after crossing the blue line. Luke fired a wrist shot that deflected off the the leg of a St. Mary’s defenseman and found it’s way over the goalie’s pad short side for the game winner. 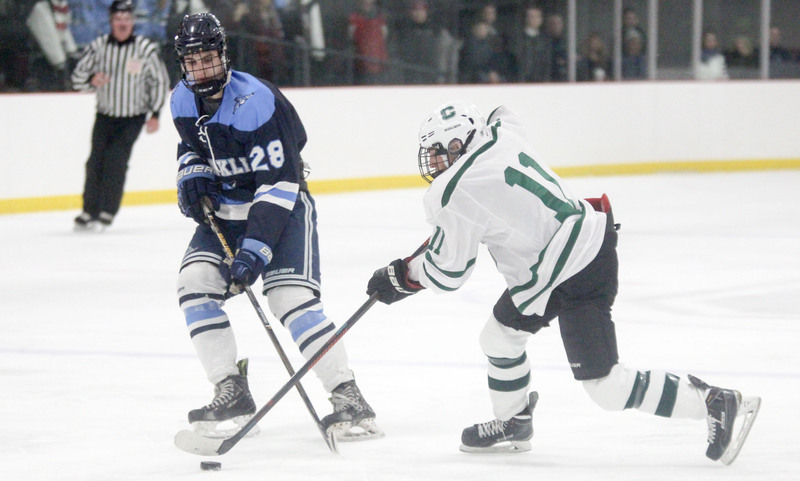 Franklin – who had been shutout three straight years in the D2 State Final from 2011-2013 —got off to an ideal start with a pair of first period goals and took that same lead into the final period. But two goals in the first five minutes of the final period from St. Mary’s knotted the game 3-3. The final 10 minutes remained scoreless, sending the game into a sudden death overtime period. Neither team could find the back of the net in that period either, sending the teams to the locker room for the ice to be cleaned for a second overtime period. With exactly nine minutes to go in the second overtime period, Downie scored the game winner. Senior captain and defenseman Joe Corsi scored just his third goal of the season to give Franklin the lead midway through the first period. Sophomore Brendan O’Rielly relayed a perfect outlet pass to senior Sean Hedvig in alone on goal but St. Mary’s goalie Andrew LoRusso got a pad to it. The puck bounced around and as a St. Mary’s defenseman tried to chip it out, Corsi had pinched in and jumped off the ice to grab the puck, put it on the ice and fired it into the back of the net with 8:26 left in the first period. “They tried to chip it out and I caught it and just put it down,” Corsi said. “Coach always tells me to roll my wrist and I had to roll it on that one. It was just surreal. I haven’t scored a goal like that before. Just three minutes later, Franklin doubled its lead. 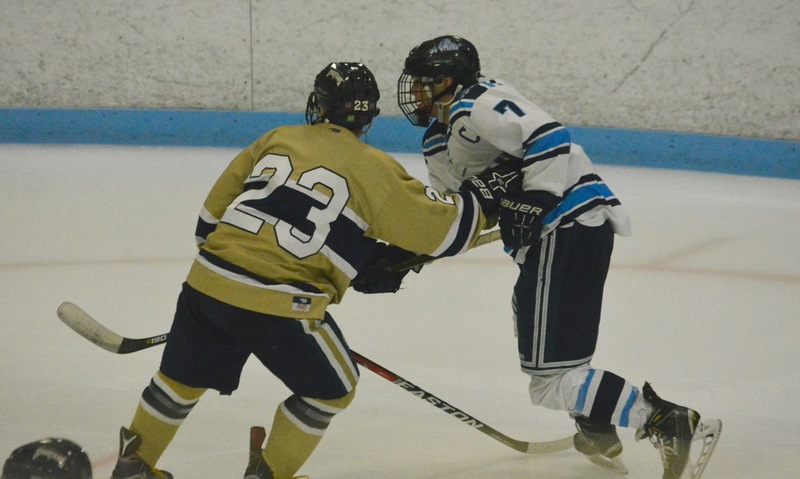 Senior Matt Pleshaw fired a wrist shot from inside the blue line that was blocked down. Before LoRusso could smother the puck, junior Joey Blasie poked it in to make it 2-0 with 5:14 left in the period. The Spartans cut the deficit in half just 11 seconds into the second period when Eric Pedro knocked in rebound of shot by Dante Maribito. But Franklin had an answer just minutes later as Alec Gilliatt found sophomore Jeremy Miller behind the net. Miller skated around and found a perfect passing lane between the post and a defenseman to feed freshman Kevin Mackay. Mackay took a step in and sniped one top shelf to make it 3-1 with just over 12 minutes to play in the second period. 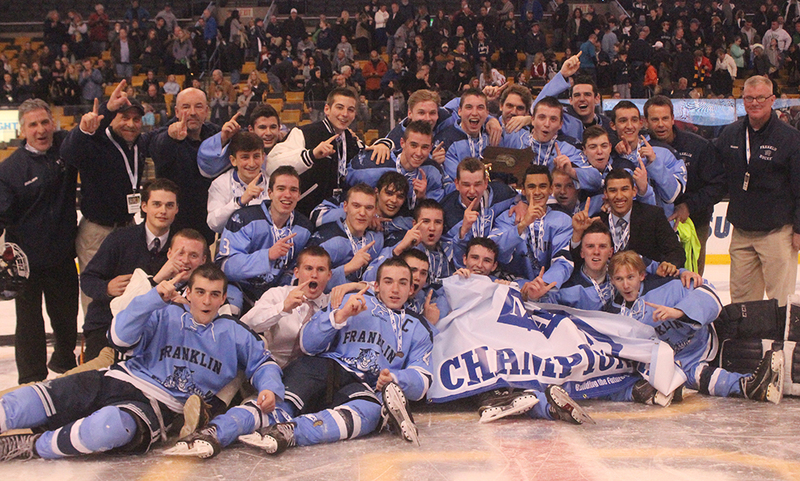 Franklin took a 3-1 lead into the final period but once again St. Mary’s found early period success. Less than a minute in, Conor Foley batted in rebound for powerplay goal to make it 3-2. Just three minutes later, Maribito found the back of the net for his third point of the net to tie the game 3-3. “Huge momentum swings,” Spillane said. “They started to carry the play and their offensive kids started to open up the ice. Nick did a great job making the saves he needed to make. We talked about team defense, keeping them high on the forecheck and the defensive guys winning the battles and chipping the puck out. The Panthers nearly had the winner at the end of the third period but LoRusso went post to post to deny Jake Downie with 1:11 to go. Neither side produced a clear scoring chance in the 12 minute overtime period but Franklin goalie Nick Jasinski came up with a huge kick save off a redirection in the opening minutes of the second overtime. Just two minutes later, the Panthers had the game winner. Like it has been all season, the Panthers got contributions from all three lines — and four different goal scorers. 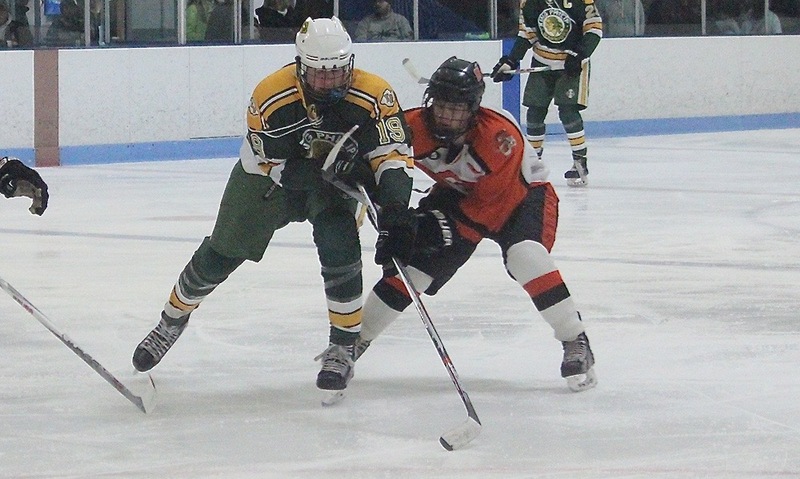 The Panthers were somewhat of an unknown coming into season after graduating 21 seniors from a squad that made a historic run to the Super 8 last season. Now this year’s team has created its own place in history. “I think it gives us a little validity as a program that we can do that, anytime you graduate that many seniors it’s a challenge,” Spillane said. “It just tells us what our junior varsity and youth programs are like. We have a lot of kids that want to wear that jersey and they’re going to wait around until they get that opportunity. We have 13 seniors this year and very few of them skated last year, if any. They waited four years to put that jersey on and they made the most of it. 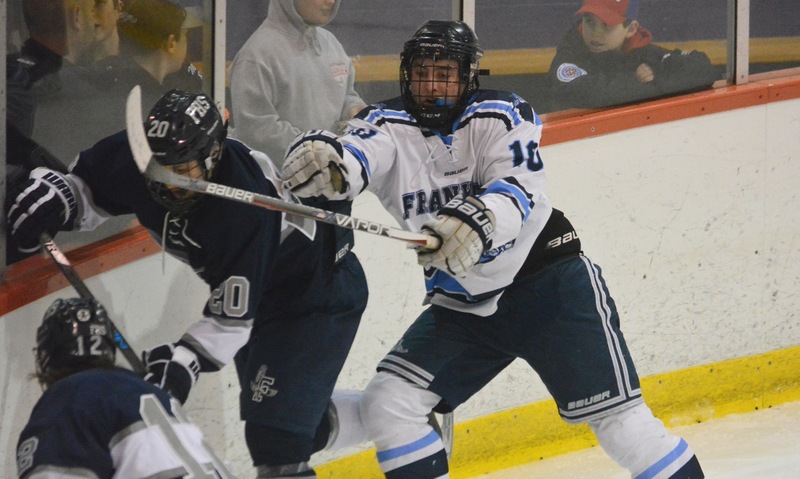 Franklin hockey finished the season with an 18-4-5 record.